AG: How far ahead are buy games scheduled? Do you schedule them on a yearly basis? MB: I can’t remember a time we did a multi-year guarantee agreement. In ‘03-’04, ’04-’05 season we did a 2 for 1 with Valpo. They bailed us out when we lost a team and they came in late. We also had the unique agreements with Milwaukee and Green Bay, which were in effect guarantee games with home and homes on the back side of them. We do it fairly early, we try to get a jump start on it. As you know, we have limited date availability, with the Bradley Center. So when we find teams that can play on the dates we want to play versus connecting with a team and saying can you play on any number of dates, we have to move fairly quickly on that. AG: Is it a team that works on scheduling, or how does the process work? Do you start right after the season ends? MB: Oh God no, we’re starting to work ahead on ‘16 right now just in terms of calendar dates, clearing them with the Bradley Center and starting to get information out on different scheduling mechanisms whether it’s basketball travelers or Win Ad or just through the league. Here are our dates, here’s what we’re looking for, and if you’re interested, let’s be in touch. We probably work farther in advance than others do, but we have to because of the uniqueness behind our dates. We’re trying to schedule 8, 9 home games in November and December inside of 12 dates. It’s hard, it’s a real challenge. Click for full size breakdown of buy-game opponents from the last five years. AG: When I looked at the numbers the last five years, you’ve done a good job of booking teams for the full non-conference where the teams land where they are predicted to, whether it be a strong or weak schedule, depending on team needs. How does that work? MB: I think you’re looking at all sorts of factors, the same sorts of factors that everyone else is looking at. I’ve said this to anyone I’ve talked to the last couple days in regards to scheduling, the RPI is a simple metric. It’s one metric. You’ve got KenPom, you’re looking at stats and rosters. On the whole, you’re looking at putting a schedule together that checks the boxes you want it to check. What does your roster look like? Are we pushing it enough. Are we playing in high-profile multi-team events that bring national exposure for our program. What commitments do we have via our league relationship. Ultimately, what does our league look like in any given year. Again, you’re trying to do this predictive all of 15 months out. 18 months out, really. Today (7/22) I just started charting dates and stuff out. It’s not an exact science but you’re trying to be thoughtful about it. You’ve got to balance those factors in any given year. We’ve been fortunate over the last decade where we haven’t been in a situation we’re in right now, where nobody used the word re-build around this program, but that’s what we’re doing. We’ve got a young, talented roster. We’ve built a schedule that’s going to appropriately challenge them and allow them to grow and develop and ultimately get them ready to play on Dec 30 when we play the first of 18 high quality, great win opportunities in the Big East conference. There’s people that think the Big East could be better than it was last year. The bottom of our league got better and the top of our league is very good, and the middle is as good as it was last year. For somebody who wants to look at numbers, I think these 18 games are going to be as challenging as any 18 games in any conference in the country. AG: There’s a lack this year, of home and aways. You had one with Vandy, you had one with LSU. Even 3 and 1s with Green Bay and Milwaukee. Is that something you’re looking to fix in the future? MB: I wouldn’t look at this schedule as anything other than this is the schedule we felt was the best challenge for this team this year. The absence of a home and home this year doesn’t mean it won’t show up next year. I think we have to be cautious to understand what’s our scheduling philosophy moving forward. Our scheduling philosophy, Steve had said last week and like I said earlier, is we want to play in marquee events, we want to challenge ourselves and play high quality opponents. We have to play a certain number of home games because basketball means so much financially to our department, it means everything to our department. We want to make sure we built a schedule that reflects our roster. I would not use this schedule to predict next year. I would allow next year to be what next year is. Looking for high quality home and homes will be a priority for our program, and a priority for Steve as long as it fits the schedule as a whole. That’s a little bit of a challenge, too, as you look at the schedule in November and December and then Jan., Feb., March, as I said to you last week, it doesn’t happen in a vacuum. There’s a rhyme and rhythm to scheduling, and because of the way the Gavitt Games was thrust on us, and the way the exempt event works, the schedule is really front loaded. No coach in the country would like the beginning, the first 10 days of the schedule to be so loaded. That plays into the rest of the schedule moving forward in terms of meeting your priorities. I think 4 of the first 5 teams we play have a real good chance of being in the NCAA Tournament come March. We may play more NCAA Tournament teams on our non-conference schedule this year than we had last year. AG: I do understand the balancing aspect. 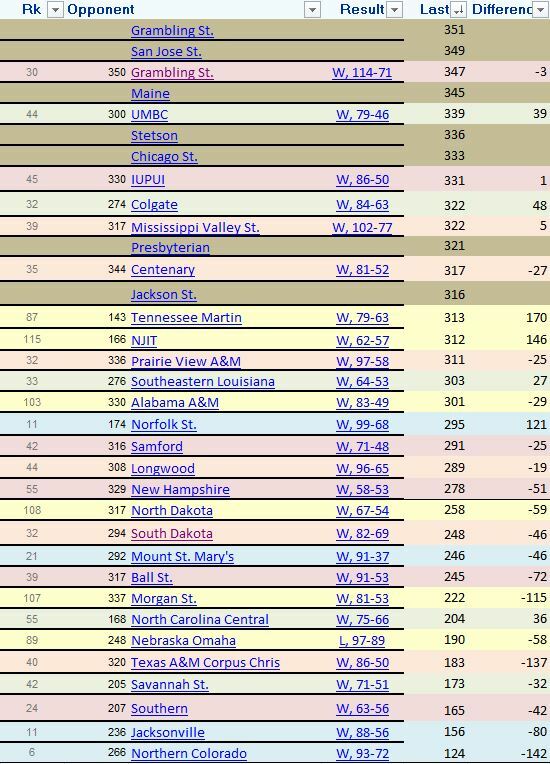 It’s just the number of teams that landed in the lower 300 region of both RPI and KenPom. You’ve been about 6% off with your buy games the past five years. MB: I think you have to dig deeper into some of those teams. I think you’re giving us a bit too much credit with our predictive analytics, but I appreciate it. I know the head coach at Maine personally, and he’s a heck of a basketball coach and did an unbelievable job at Rhode Island College. Went to the NCAA Tournament three straight years and won two national championships. He’s in the second year of rebuilding a program. That program’s going to be better. Stetson and San Jose State are in similar situations. I know their numbers are what they are, and I don’t want to get into the numbers with them, but I think there is more to some of those teams than meets the eye. And that happened last year. UT Martin, at the end of 2014 was 165. They had a coaching change, so last year they had a first year head coach. Those fluctuations happen. AG: I understand that, it’s more of a question of how much fluctuation do you expect? MB: I think, come March, we’ll have a non-con schedule that will represent us very well as long as we do what we believe we’re capable of doing in January, February and March. I think things will play themselves out in a way that everyone is concerned this is going to hurt us, I don’t subscribe to that. We built a schedule that has shown positively in March. At the end of the day, you have to perform positively in conference. Some of us are talking about looking at other programs, at teams like TCU, well they went 4-14 in conference. Their non-conference schedule had less to do with what their numbers ended up being as much as they lost 14 conference games. Nothing impacts it more than winning. But I don’t want to get in an overly RPI discussion. I think if we’re just talking about evaluating resumes, the selection committee is so much more savvy than that. They continue to make strides and changes annually. They are genuinely concerned about making sure they have the 68 best teams with an opportunity to win a national championship come March. It’s more difficult to get invited to big ship games coming off a 13-win season. AG: My concern is more controlling what you can control. Obviously you can’t control who you’re going to play in the Thanksgiving tournaments. Belmont and IUPUI are thrust on you, then LSU and whatever happens in the following game. I remember you telling me Buzz was not afraid to play anyone anywhere. Did OSU game on the ship, did the New Mexico game in Vegas. Is there a look at playing these one off games in neutral sites? MB: Always. Unfortunately, as great a brand as we have, those opportunities don’t get thrust upon you coming off 13 wins. That’s not an indictment on our staff or the job they’ve done in a short period of time to rebuild this program and move it in the direction it’s going. It’s been incredible. The excitement coming off a 13 win season speaks to the specialness of our program and what Steve saw in it when he realized we’re going to have to do it but we can do it quickly because we are Marquette. We’re going to pursue those opportunities and Steve’s going to pursue those opportunities. I wouldn’t try to predict what our scheduling philosophy is going to be like based on a single year. It’s always going to be, challenge your team. Put yourself in places to showcase your program on a national level. Make sure you’re schedule reflects your roster. Ultimately are we hitting some of the business aspects. What does our conference look like and when we look at those 30 or 31 games, if we win the number of games we are capable of winning, does that position us well come March from an evaluation standpoint. I think for the 10 years I’ve been involved with it with three different coaches, we’ve done that. Going into the 13-14 season, we played 8 guarantee games, 5 teams in top 25 of the RPI. We were picked to finish first in the Big East conference. We lost all 5 of those top-25 games and all 8 of those non-marquee games. It works in different directions. Even there, we built a schedule based on our roster of high-profile games, quality multi-team tournaments. Got to play the games and see what happens. AG: I don’t mean this to seem personal. MB: Oh no, I’m glad that we’re not debating the RPI but trying to understand the form and functioning of scheduling. That’s a good conversation to have. There is very much a rhyme and a rhythm to it. As a tenant in a shared building, it’s a lot more difficult than the majority have to deal with. AG: What sort of opponent are you/might you be looking for going forward. Are you looking to renew series with former Big East foes like Notre Dame? There’s local rivalries like Northwestern or Purdue, regional but not in normal scope of opponents. 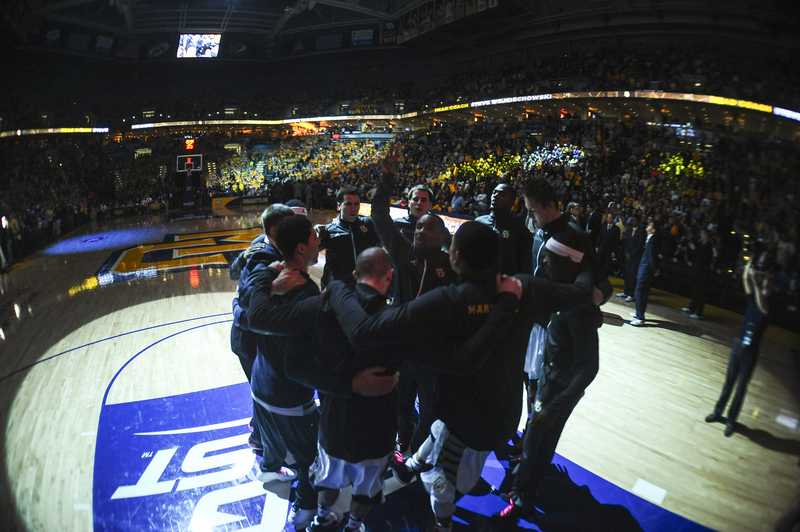 MB: I think Steve thinks along the same lines as everyone else in Marquette University. There are opportunities to continue to play in those quality multi-team events. We’re in Coaches vs. Cancer next year, Maui 2017. We’re looking at ‘18 and ‘19 right now. We talked to Atlantis, we talked to ESPN about going back to Orlando, so we’re evaluating those opportunities. We know Wisconsin is going to be there. We don’t have a lot of say, we don’t have much say at all in terms of our Gavitt Game opponent. Clearly there’s an interest on both sides. Mike Brey has expressed an interest in continuing or finding a way to get a series done with us. Obviously Steve’s expressed an interest in that That comes down to the mechanics of scheduling. What are their commitments, what are our commitments, how do we make that work. We’re constantly engaged in conversation, it’s just about evaluating what is the best one for us. What does TV look like on the other side. That’s a big thing for us. We want to make sure whatever home and home we get into delivers the maximum amount of national exposure. There’s neutral site events popping up every day, so it’s hard to get too future oriented with those because they’re happening so fast. It’s kind of become the in vogue thing in college basketball. We’d love to take our team back to New York City as part of the Jimmy V. We had an unbelievable experience there. I think ESPN saw the value we brought. Making that pitch off a 13 win season is a lot more difficult than potentially making that pitch next summer. So we’ll constantly look for those opportunities to be the anchor of what we do in November and December. AG: Is there any pressure or guidance from the Big East of from FS1 to bring in these marquee names at home where they’d be able to broadcast it? MB: Obviously your television partner wants you to play the best games possible, but you’re television partner is also a partner, and they recognize the best way to create value for your league is to have programs that are successful, programs that play in March and programs that win in March. They understand that getting to that point, there’s a process involved and scheduling is part of that process. But we couldn’t have a more collaborative relationship with FOX. What people have to understand is we’re both in the infant stages of a very long relationship, and we’re learning as we go and we’re growing as we go. We’re engaged with each other in a very significant way to help one another. The Gavitt series evolves because two leagues and a television partner come together and say we all see value in this type of opportunity. Teams see the value it adds to potential season ticket packages. Teams see the value in terms of putting a quality opponent on the schedule. Television partners see the value in bringing 4 high quality games to the network at a time of the year when you’re devoid of those opportunities. So yes, those opportunities are happening. FOX is getting involved in multi-team events and looking for Big East teams to explore opportunities there. It’s not a pressure but rather a constant dialogue about how do we grow one another. But at the end of the day we have a program that we have to operate from November to March and they have a network they have to operate. So it’s reciprocal. I think you’ll see things moving forward, we’ll try some creative things. How do we leverage other content on their air to tune in to what we’re doing. They continue to be aggressive about acquiring more high quality content like the USGA relationship and how do we use that to maximize the value of the Big East. But at the end of the value is going to be driven by the success our teams can have. If you schedule 31 great games, there’s diminishing returns on that. They’re very much an engaged partner and understand our business and priorities that each of us have. AG: Has there been any more talk establishing a series with the PAC-12? MB: Nothing at this time. There’s been some very informal conversation, and again, those conversations happen constantly. Every time you pick up a phone and you have a conversation with a conference office person, it’s not just a check-in but a brainstorming session about what other things can we be doing creatively that we’re not. There have been some conversations about that, but there’s nothing imminent that I’m aware of. I haven’t asked Bill Scholl about it in a couple months. He hasn’t mentioned it to me, so that tells me there’s nothing imminent. But certainly there was some conversations there. 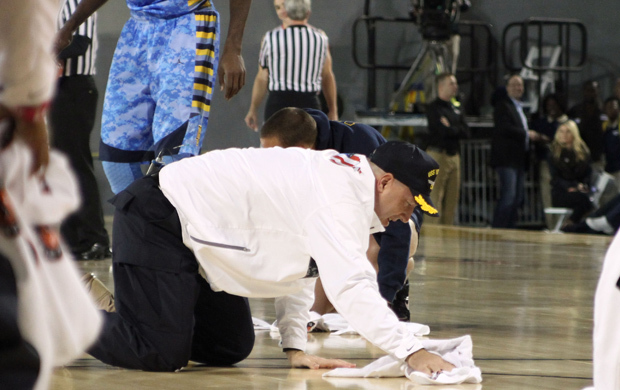 ← Historically, how weak is Marquette’s schedule?